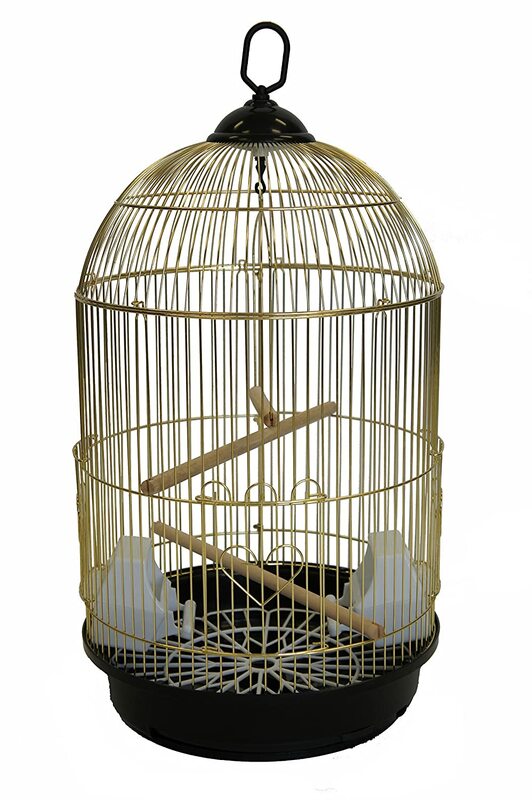 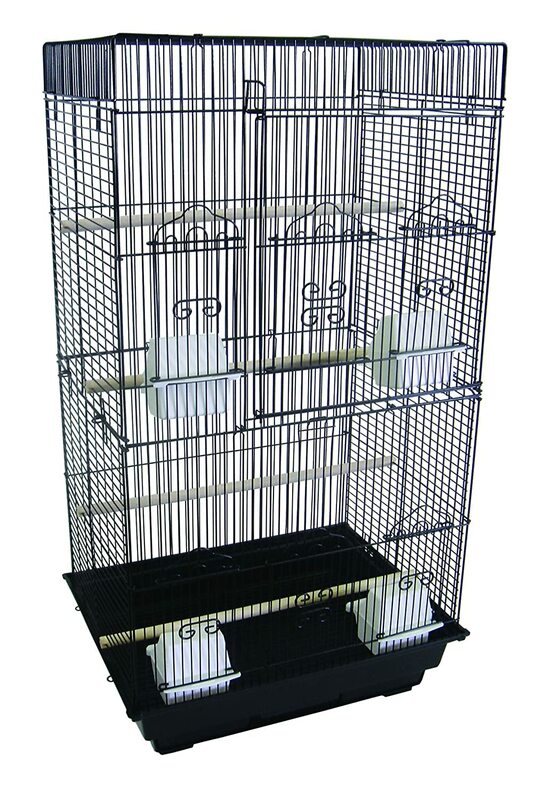 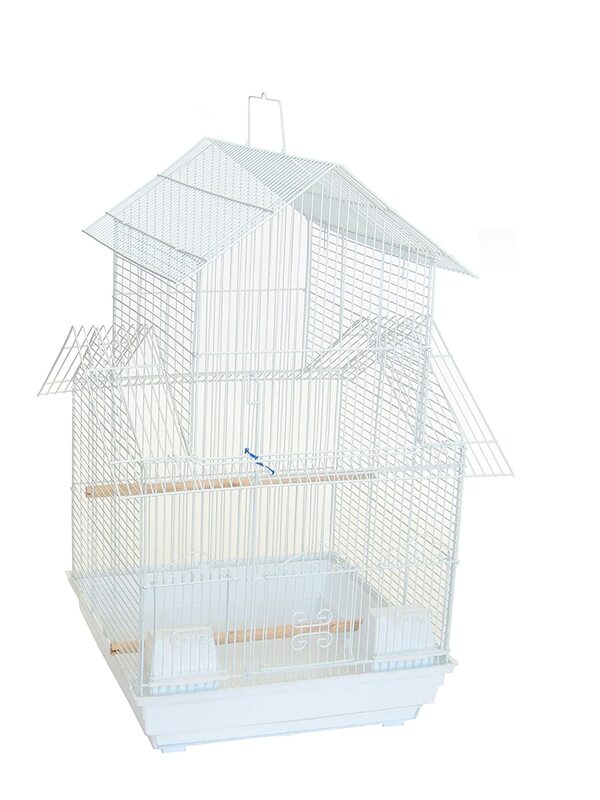 3/8-Inch bar spacing tall flat top bird cage, 18-inch x14-inch in white. 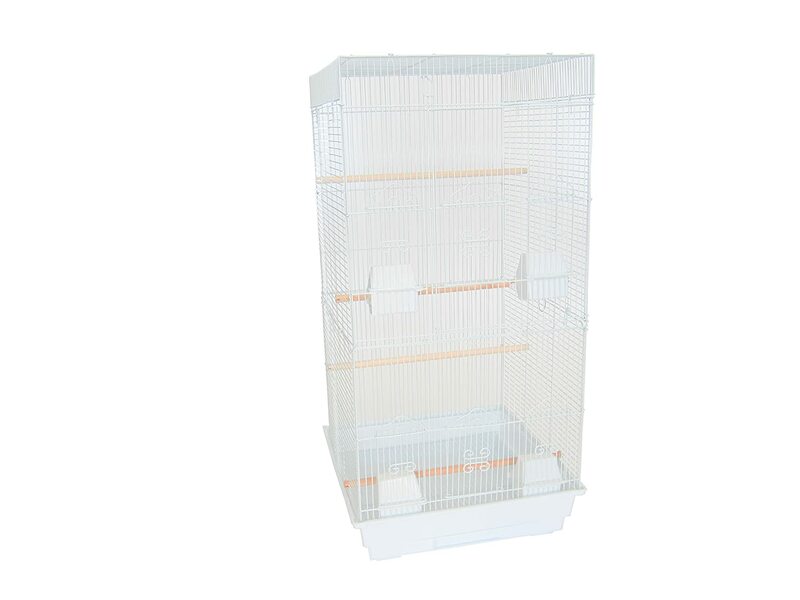 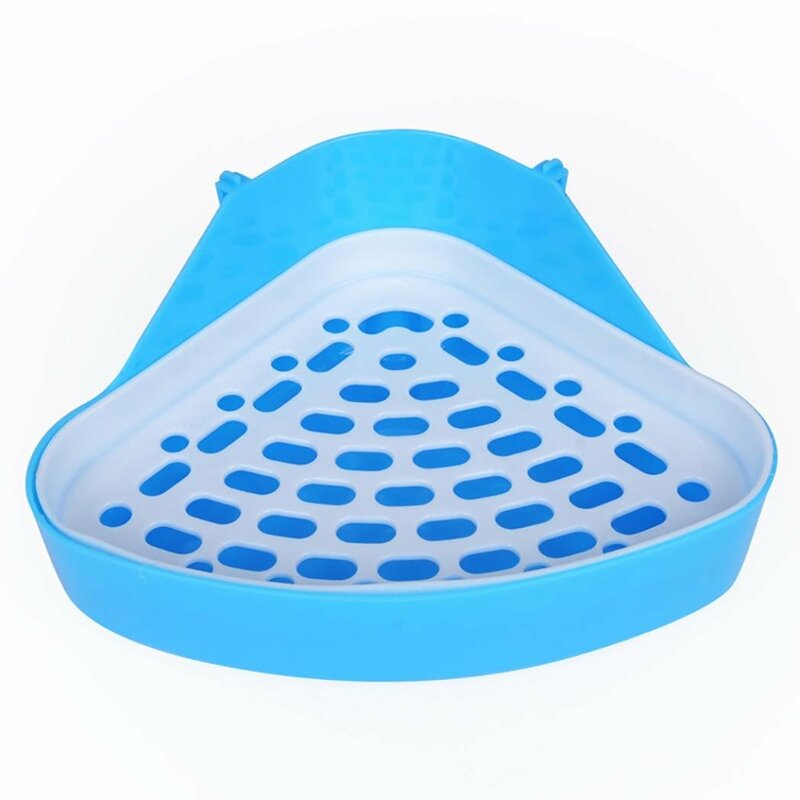 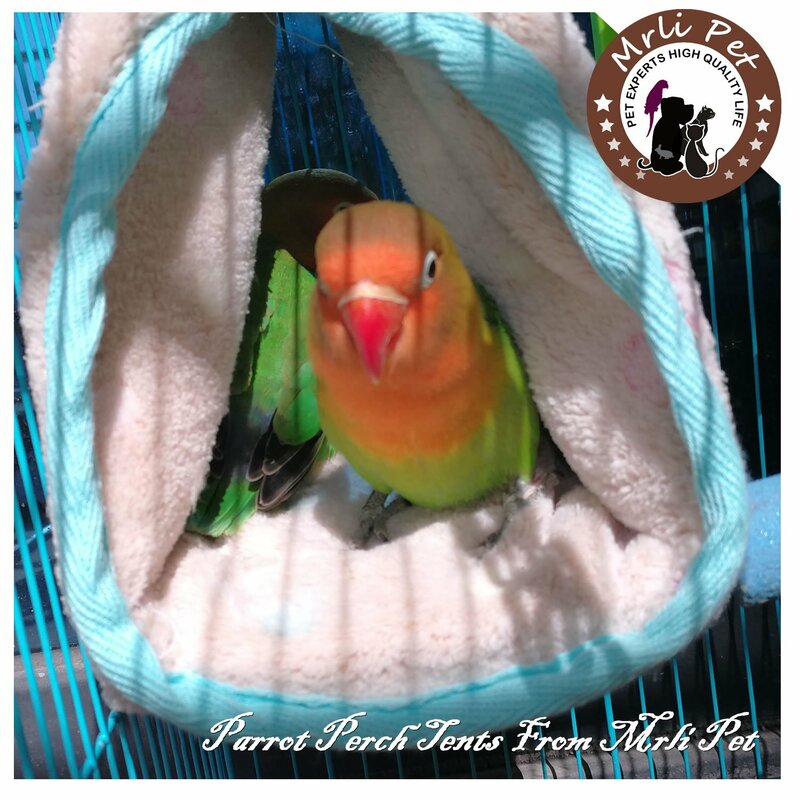 It has large swing out door with door pin and small lift up doors, 4 feeder doors and 4 cups, 4 perches, easy clean removable metal grate and slide out bottom plastic tray. 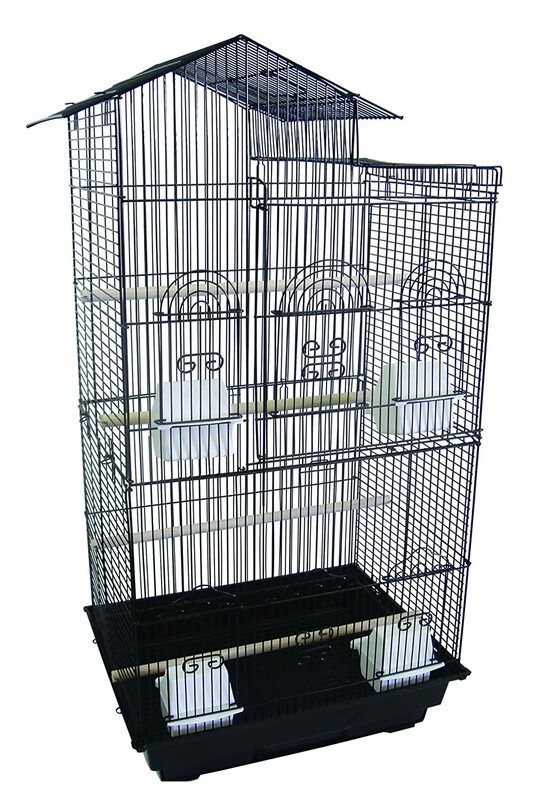 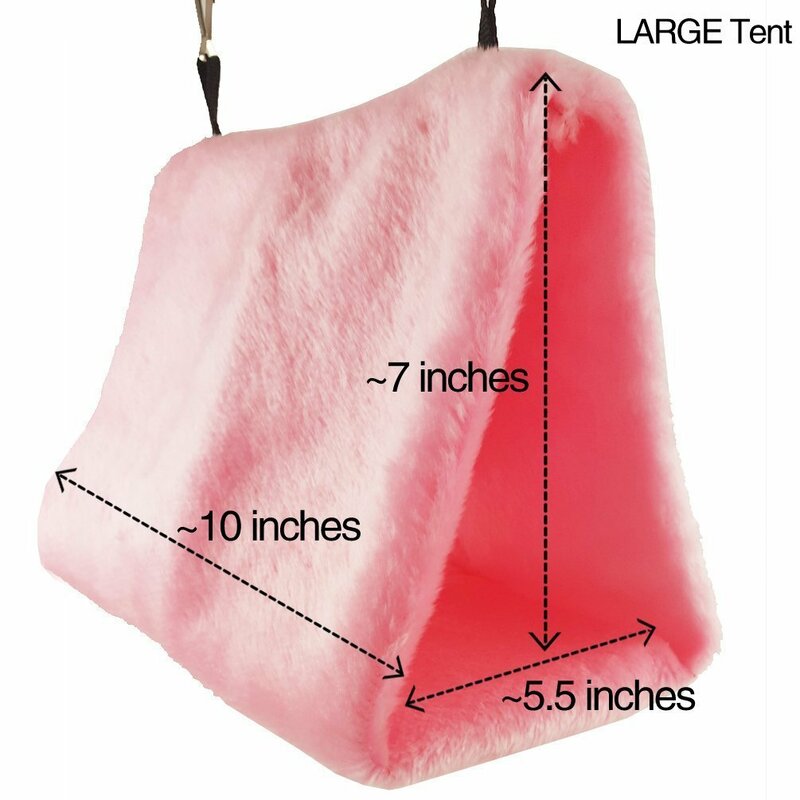 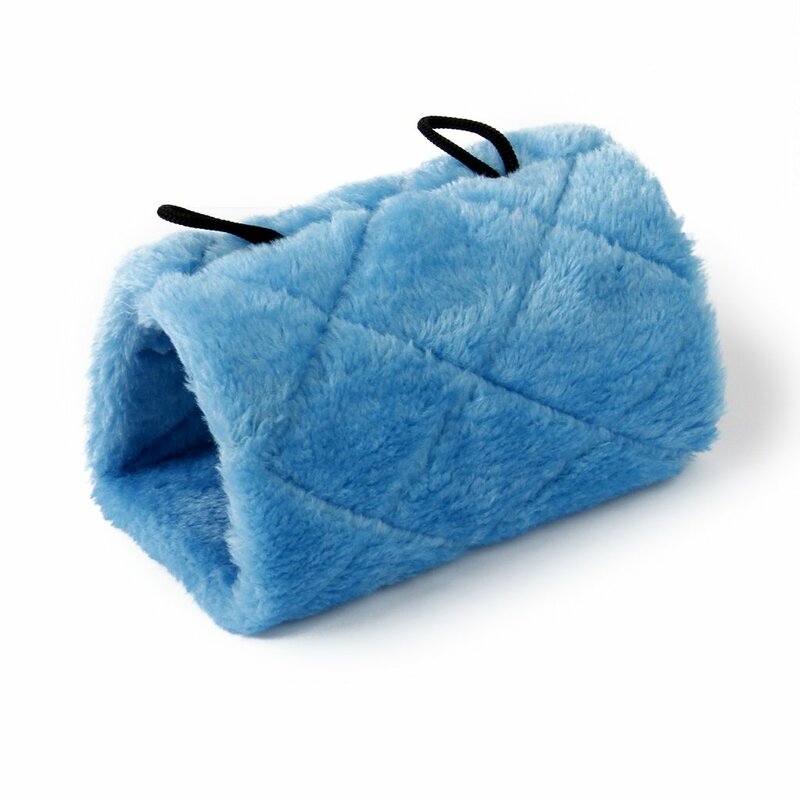 Dimension of the cage is 18l x 14d x 35h".